Joy recently joined the New York office of Auerbach Pollock Friedlander. She comes to the firm after earning her Master of Science degree in Architectural Acoustics from Rensselaer Polytechnic Institute. Her role with the Auerbach Pollock Friedlander involves architectural design and technical support for a variety of projects. 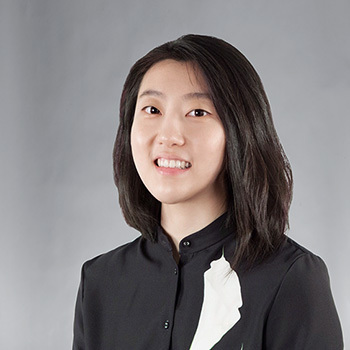 Her architectural education and training is enhanced by her intense interest in and understanding of design and acoustics for performance spaces. Joy brings architectural experience from her previous employment as a design coordinator with a top hospitality and entertainment design firm in Las Vegas. Her experience there encompassed producing Revit and AutoCAD drawings, coordination with consultants and clients, site visits, creating sketches and diagrams and document translation. She is fluent in English and Chinese. Before returning to school for her master’s degree, she earned a Bachelor of Science in Architecture from the University of Las Vegas, Nevada.